model for state-owned enterprise reform that other countries should consider. Reforms to state owned enterprises (SOEs) can unleash productivity and efficiencies in an economy. However, such reforms can bring pain and controversy—so-called “adjustment costs”. These costs were evident in the former Soviet Union in the 1990s, when sweeping SOE reforms led to the closure of thousands of SOEs, unemployment, and social unrest. Even the more gradual reforms in the People’s Republic of China saw many SOEs dissolved. Many economies in the Pacific are dominated by the public sector. Successive Finding Balance studies by the Asian Development Bank have revealed that Pacific SOEs are plagued by low productivity, inadequate management, and weak financial results. Because Pacific economies are small, a common perception is that there are limited opportunities for the private sector to grow and for people to find other employment. This perception has contributed to SOEs’ continued dominance in economic activities. The reform of the Public Works Department (PWD) in Samoa provides an illuminating example of how to navigate the necessary adjustment costs and lessen the resistance to reforms. The capabilities and efficiency of the PWD had steadily fallen throughout the 1980s and 1990s. Its reform was a result of both chance and design. Two major cyclones struck Samoa in 1990 and 1991. The massive reconstruction required to repair the damage stretched the capacity of the PWD beyond its breaking point. The Government of Samoa opened up the reconstruction efforts to the private sector on a far wider scale than previously. The strong performance of private companies led the government to make a pragmatic and bold decision to completely overhaul the way road maintenance and construction work was organized and delivered: it made the PWD a contract manager which did not undertake construction itself, but managed the provision of these services by the private sector. What distinguishes this reform, however, was the skillful way the government and its development partners managed the adjustment costs by ensuring that no employees lost their jobs involuntarily. After extensive consultation, PWD staff were offered three choices: taking redundancy with payments ranging from 3 to 18 months of salary, transferring to another government department, or establishing their own contracting firms with work guaranteed by the government for three years. Contracts were split into small packages to enable employees’ participation. Employees established three companies under this arrangement, which were given a boost by the government selling them the PWD’s heavy equipment at a sizable discount. Over time, the results have been dramatic. The number of large Samoan owned building and construction companies has risen from 5 in 2002 to 14 in 2014 and there are now also 55 smaller Samoan companies in the sector. The restructured PWD—now called the Land Transport Authority (LTA)—estimates that the reform has resulted in more than 2000 new jobs being created either directly in the construction and road building sector, or indirectly through multiplier effects. Furthermore, the LTA estimates that productivity has increased two to three fold as a result of the reforms. Because many new players are entering the market, the construction processes has become much more sophisticated. The LTA now insists on performance based contracts, with contractors’ remuneration being tied to quality standards. Over 95% of all roads are paved, and the quality of road surfacing is high. The cost per kilometer of road building and maintenance has fallen sharply because of the productivity improvements. 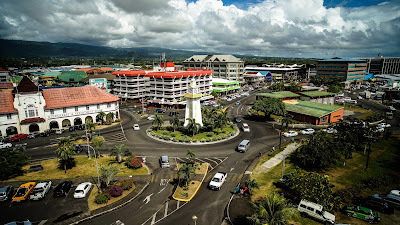 Perhaps most tellingly, while civil construction in Samoa was once dominated by foreign companies, the level of local expertise and competitiveness has risen to the point where foreign firms struggle to compete with Samoan companies, which now even successfully bid on contracts in other countries in the region. What factors enable successful SOE reform? Samoa’s PWC reform benefited from several factors. The first was a long-term (20 year) and continuing commitment to ensure a successful transformation. Secondly, efforts were made to ensure that those who could have been potentially disadvantaged were given options and treated well. Next, contracts were broken up into smaller lots that local firms could bid for. While this entailed some up-front efficiency costs compared to tendering large packages for international firms, it helped to maintain support for reforms and build local private sector capacity. Local firms are now even participating in international competitive bidding. Finally, support from development partners, in this case the World Bank, played a critical role in implementing the reforms. Too often, worthwhile state-owned enterprise reforms have failed due to resistance from people who were adversely affected. Samoa’s experience shows that reforms should aim to create as many winners as possible. The aim should be to create a win-win-win situation. For the government, this means a reduced fiscal burden and higher employment. For employees, it means better job opportunities and income. And for consumers, it means better services, lower costs, and improved quality. Samoa adopted an innovative approach that accounted for the complex political economy of the challenge. As a result, the reforms were successful and sustainable. By Emma Fan, Regional Director of ADB’s Pacific Liaison and Coordination Office, and Paul Holden, PSDI Lead Economist. This article was originally published in the November edition of Islands Business magazine.